If you’re the kind of Marvel fan who loves to ponder the inner workings of the Iron Man suit, the physics of Captain America’s shield, or how Bruce Banner’s brain might change after Hulk-ing out, you’ll love the new interactive Avengers S.T.A.T.I.O.N. exhibit. It just opened this week at the Treasure Island Resort and Casino in Las Vegas. It’s the creation of Nick Cooper of Victory Hill Exhibitions, a diehard fan of the Marvel Universe who opened the first Avengers S.T.A.T.I.O.N. in New York City in 2014, followed by exhibits in Korea and Paris. This latest incarnation updates the character details and corresponding science to incorporate the Marvel films that have appeared since then. Visitors receive an orientation as potential S.H.I.E.L.D. 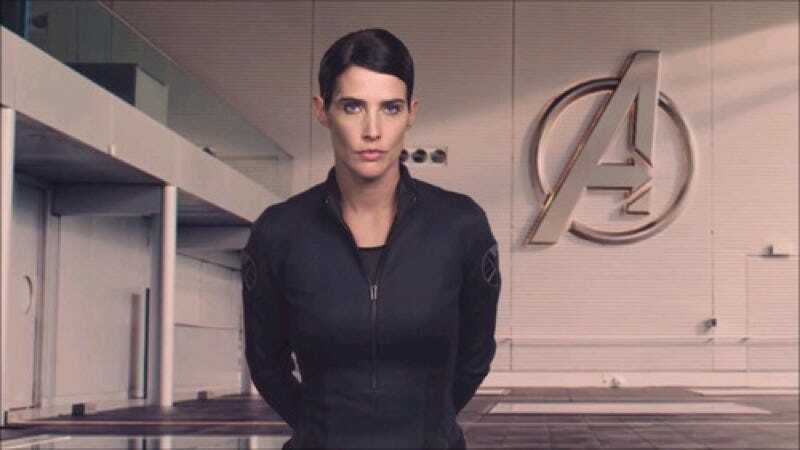 agents by none other than actress Cobie Smulders, who plays agent Maria Hill in the Marvel franchise. Then they are ushered into the first of several chambers focusing on the underlying science of some of the primary Avengers: Captain America, The Hulk, The Vision, Thor, and Iron Man, with nods to others. For the Vegas Avengers S.T.A.T.I.O.N., Cooper partnered once again with Ricardo Gil da Costa, CEO of Neuroverse, a company that is developing a wireless brain computer interface (BCI) that fits on a person’s forehead. In addition to modeling the changes that would likely take place in the brains of the Hulk and Captain America, pre- and post-transformation, Gil da Costa adapted Neuroverse’s BrainGate technology for an interactive heads-up display (HUD) in the Iron Man chamber. Visitors press their foreheads against the sensors and focus their attention as much as possible to “charge” Tony Stark’s Iron Man suit. How much it charges determines how long it can fly to complete a “reconnaissance mission” over desert terrain. Cooper also picked the brains of several scientists and engineers from NASA’s Jet Propulsion Laboratory for insight into the electromagnetic spectrum of the tesseract artifact, and various aspects of the Thor films. A model of Mjolnir (Thor’s hammer) arrived just in time for the opening. It’s locked into place with an electromagnetic field; occasionally a docent will push a button to disrupt that field so a “worthy” exhibit visitor succeeds in lifting it. All in all, the exhibit should appeal to kids and grown-up Marvel fans alike—and hopefully spark an interest in the underlying science. Check out our full Facebook Live tour with Cooper and Gil da Costa. You can watch the full video below.